The young people at Sunnyside Academy are now “going for gold” in their ambitions as a Headstart school having recently been accredited with silver standard. The Coulby Newham-based primary has been a Headstart school since 2017 and has a dedicated pastoral team to support positive mental health and wellbeing and works with therapeutic services such as Mind, Headstart, Link, Footprints and Bungalow. The ultimate aim of the approach is to equip young people with resilience to prevent mental health problems occurring in the first place, and to build the evidence base for prevention, early intervention and service redesign. 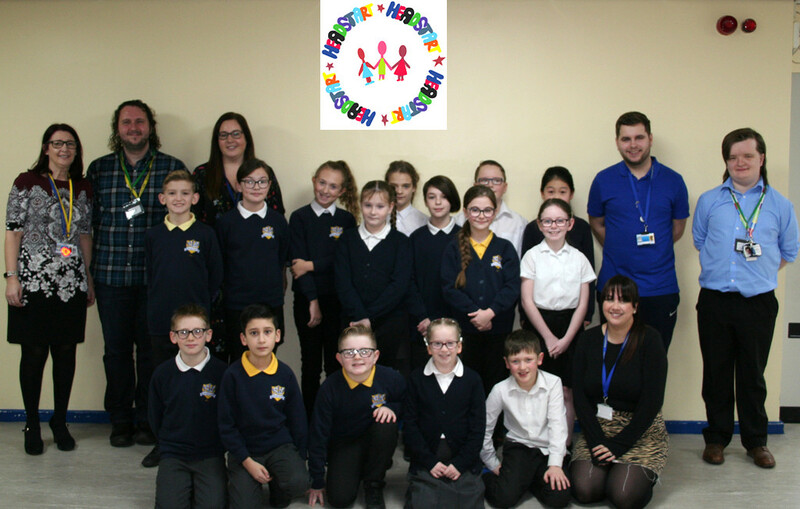 As part of the process the Middlesbrough Council Headstart team Andy Appleyard and James Woodgate have supported the school in the process and have trained 8 pupils in Y5 and Y6 as Headstarters. The pupils have completed an accredited course in supporting wellbeing with their peers and it is the first of its kind nationally. In recognition of the school’s achievement and its commitment to positive wellbeing the school were awarded £8,000 to design a new sensory room in the school that can be used to support vulnerable pupils. Headteacher Julie Sutton said: “Supporting positive emotional health in schools is vitally important. We need to equip our young people to be resilient and to have a range of strategies to support themselves and others in the challenges that they face. Last week Middlesbrough Council Chief Executive was given the honour of officially opening the new facility and presented the children with their certificates at a special assembly. Mr Parkinson said: “It really was an honour to be asked and to spend time with the children and hear their thoughts and experiences around this very important issue. “I want to congratulate everyone at the school who has been involved in this process, as well as the Middlesbrough Council officers who have worked with the school.